See the full paragraph in Clayton’s comment here. This entry was posted in Fearful Symmetry, Liberty, Quote of the Day on April 10, 2011 by Michael Happy. This entry was posted in Blake, Current Events, Fearful Symmetry, Politics, Society on April 6, 2011 by Michael Happy. “Whatever you think of WikiLeaks, they have not been charged with a crime, let alone indicted or convicted. Yet look what has happened to them. They have been removed from the Internet … their funds have been frozen … media figures and politicians have called for their assassination and to be labeled a terrorist organization. What is really going on here is a war over control of the Internet, and whether or not the Internet can actually serve its ultimate purpose—which is to allow citizens to band together and democratize the checks on the world’s most powerful factions,” – Glenn Greenwald. All of this is disturbing. But the most troubling thing about it is the fact that “media figures and politicians” are actually calling for the death of Julian Assange and people associated with him because they are “terrorists.” The situation has quickly become so grotesque that the routine weighing-in of Sarah Palin (idiotically characterizing the leak as a “treasonous” act, even though Assange is Australian and operates out of Europe) is now the least of our worries. After the normalization of torture under the Bush administration, it seems that anything goes. This entry was posted in America, Current Events, Fearful Symmetry on December 9, 2010 by Michael Happy. The praise and international recognition that Fearful Symmetry brought Frye did not come easily. Frye told David Cayley that the book went through “five complete rewritings of which the third and fourth were half again as long as the published book” (CW 24, 924). He reported the same thing in interviews with Art Cuthbert, Valerie Schatzker, and Andrew Kaufman (ibid. 413, 595, 671). Then there was the major rewriting called for by Carlos Baker, one of the readers for Princeton University Press. Part of Baker’s report on Frye’s 658‑page manuscript can be found in Ian Singer’s introduction to the Collected Works edition of Fearful Symmetry (CW 24, xxxv). 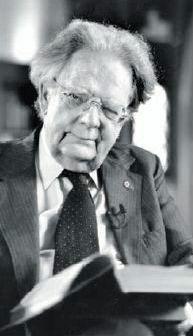 Other parts are recorded by John Ayre (Northrop Frye: A Biography (192–3), who has a full account of Baker’s judgments about the strengths and weaknesses of the book. 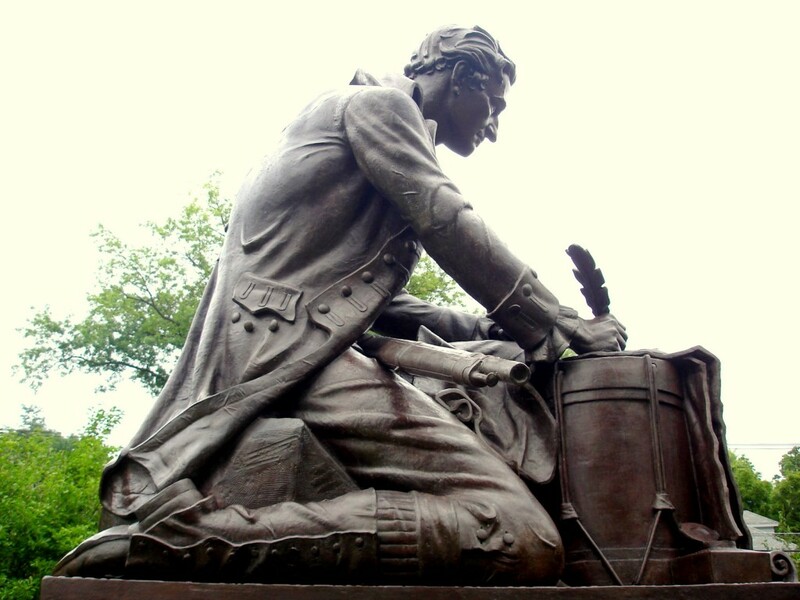 Frye’s response to Princeton was to undertake another rewriting. Once he had completed this large task, Baker reread the report and sent the memorandum below to Datus C. Smith, Jr., the director of Princeton University Press. To: Datus C. Smith, Jr. I have reread this MS. with particular interest and care in order to discover just how complete the revision was. I find that he has done the job with great attention and thoroughness. 1) The length is lessened by about 20% with, I should say, a 20% gain in intensity and interest. 2) He has either eliminated or completely reworked all the allusions to other major poems than those of Blake about which I originally felt quarrelsome. What is left seems to me right and just, and his method of handling these matters at the heads of chapters seems to me preferable to the method I suggested: viz. separating them off into one section of the book by themselves. 3) He has been liberal and helpful in inserting signposts of the reader’s self‑orientation. But nota bene: if you decide to print the book, you ought still to insist on a prefatory page where the Blakean canon is listed. Or this could appear as a one‑page appendix. 4) In short the book is now definitely publishable, is the best book of Blake that I know, and I should describe it as brilliant, sensitive, witty, and eminently original. It should do much to make better known and more respected a poet who might have been more so at an earlier date but for a series of accidents of which he himself was one of the most conspicuous. 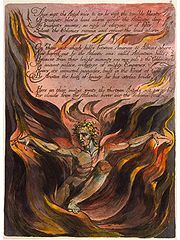 5) With carefully chosen and strategically placed reproductions of Blake’s own pictures, it should make a handsome book. Both because of the size of the Blake cult and the originality of these utterances, the book might create something of a stir, especially in Academia but also outside. I find in the revision a crack not there before, anent Blake’s use of Rahab, the Apocalyptic Whore of Babylon. Says Frye slyly: The Joyce of Finnegans Wake might have referred to her as The Last Strumpet or The Great Whorn. This entry was posted in Bob Denham, Correspondence, Fearful Symmetry, Unpublished on December 9, 2010 by Bob Denham. 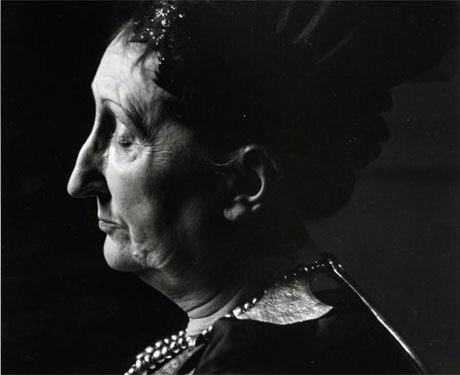 On this date in 1964 Edith Sitwell died (born 1887). After the jump, a much longer letter to Sitwell written on April 12th of that same year. Headnote and footnotes courtesy of Bob Denham. This entry was posted in Anniversaries, Correspondence, Fearful Symmetry on December 9, 2010 by Michael Happy. On this date in 1349 Edward III led the English forces to victory over the French in the Battle of Crécy, one of many battles fought during the Hundred Years’ War through the reigns of four English kings — Edward III, Richard II, Henry IV, and Henry V — and which ultimately ended in English defeat after Joan of Arc appeared on the scene to rally the French in their cause. This entry was posted in Anniversaries, Blake, Fearful Symmetry, Video on August 26, 2010 by Michael Happy. I like and agree with all that you say about Frye and the Bible, Bob, but feel there are a few things missing, like typology and prophecy. To say that Frye is looking at the Bible from the point of view of a literary critic is correct but seems to me to be a far too cold and detached statement–Frye as a scientific anatomist. 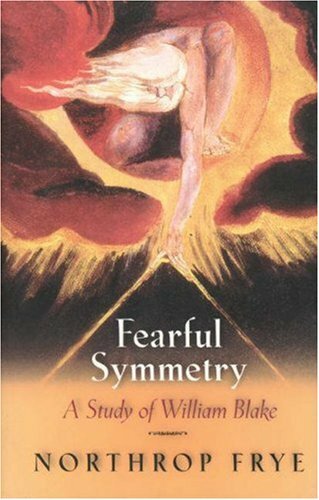 In Fearful Symmetry Frye is learning from Blake and teaching us that the Bible is a complete book of vision. With my philosophical and theological frinds I have enjoyed many heated and lively conversations, but we always seem to reach an impass when we come to the word “vision”. Their favorite word is “insight”, the eureka moment, and this seems to be pretty well an established occurrence in consciousness, and the title of a major work by that other great Canadian thinker, Bernard Lonergan. This “insight” is the basis for an alternative to faculty psychology, dealing with the soul and its attributes, which has now been abandoned in the wake of scholasticism. The nearest scholasticism comes to Blake’s “vision” is with the word “emanation”, as in Aquinas’ “intelligible emanations”, our participation through the act of “insight” in the light or mind of God. Understanding is what we achieve each time we have an “insight”. The historian Herbert Butterfield states that the rise of modern science outshines everything since the birth of Christianity. Modern science comes with the Enlightment and philosophers like Paul Ricoeur, Gadamer, Eric Voegelin and Leo Strauss are now trying to dismantle its stranglehold and go beyond it. In this sense, Frye does not approach the Bible as a scientist or literary critic but, instead, as a prophet and poet. What emerges from Fearful Symmetry is Blake’s universal cry that we find at the opening of his poem Milton: “Would to God that all the Lord’s people were Prophets.” Numbers XI. ch. 29 v.
To go beyond either/or, Frye approaches the Bible both as a literary critic where he suspends value judgements but also as a prophet like Jeremiah where he uses value judgments to tear down and to build up. [See Jean O’Grady’s brilliant article “Re-valuing Value“.] The key to prophecy is typology, the Medieval approach to the Bible, displayed to us splendidly in Dante’s Divine Comedy. In “Paradiso” Canto 6, Justinian is the only speaker, and here we deal with the Law; canto 10, the Circle of the Sun, the Circle of the Sages, we deal with Wisdom; canto 17 deals with Prophecy. His great, great grandfather tells Dante must go back to earth and assume the mantle of the prophet and poet. Armed with the phases of revelation: Law, Wisdom, Prophecy, Etc., Dant must construct for us The Divine Comedy, which is nothing less than a recreation of the Bible. Frye’s engagement with the Bible brought about a fundamental change in him as it did in Dante, and it was this change into prophet and poet that was necessary before he could present us with his lasting emanation, The Collected Works of Northrop Frye, which we must learn to read as the Bible for our time. This entry was posted in Bible, Fearful Symmetry, Typology, Vision on February 8, 2010 by Guest Blogger. She has always regarded her mind as something passive, worked on by external supernatural forces, and is very unwilling to think that anything might be a creation of her own mind—besides, it flatters her spiritual pride to think of herself as a kind of Armageddon. She told me that once she was working in her kitchen when a voice said to her “Don’t touch the stove!” So she jumped back from it, and something caught her and flung her against the table. Half an hour later the voice came again, “Don’t touch the stove!” She jumped back again and this time was thrown violently on the floor. When Dad came home for dinner he found her with a black eye and a bruised shin. I have read a story by Thomas Mann in which he tells of seeing a similar thing in a spiritualistic séance [the episode involving Ellen Brand toward the end of Mann’s Magic Mountain—the section entitled “Highly Questionable” in chapter 7]: that story was the basis of the priest’s remark to the ghost in my Acta Victoriana sketch: “If you are very lucky, you may get a chance to beat up a medium or two” [“The Ghost”]. Mother has also heard noises like tapping and so on, and was tickled to get hold of a copy of a Reader’s Digest in which a writer describes having gone through exactly similar experiences [Louis E. Bisch, “Am I Losing My Mind?” Reader’s Digest, 27 (November 1935), 10–14.] The best way to deal with mother is, I think, to get her books telling of similar things that have happened to other people: she’s not crazy, but might be excused for thinking she was if she didn’t realize that such things are more common than she imagines. She was delighted with my Acta story, and I’ll try to get her that Mann thing and C.E.M. Joad’s Guide to Modern Thought, which has a chapter on those phenomena. (Frye-Kemp Correspondence, 13 August 1936). In Fearful Symmetry Frye speaks of the supernatural as the human creative power: “All works of civilization, all the improvements and modifications of the state of nature that man has made, prove that man’s creative power is literally supernatural. It is precisely because man is superior to nature that he is so miserable in a state of nature” (41). Frye’s reaction to natural religion, with its premise of the analogia entis [anology of being], is almost always negative. Both Word and Spirit, he declares in his Late Notebooks, can be used without any sense of the supernatural attached to them. This entry was posted in Bob Denham, Cosmology, Fearful Symmetry, Imagination, Memoir, Religion on January 2, 2010 by Bob Denham. The greater the work of art, the more completely it reveals the gigantic myth which is the vision of this world as God sees it, the outlines of that vision being creation, fall, redemption and apocalypse. For a Christian, the totality of creative power is called the Word of God or Jesus. This creative power sees a vision of all time and space whose mythic shape is the same as that of the Bible: “creation, fall, redemption and apocalypse.” Frye writes, “all works of art are phases of that archetypal vision,” and the greatest art, such as the Bible, most completely reveals this vision. Blake viewed the central myth of the Bible as a genuine vision of reality, and his work as aligned with it. This Biblical vision is an imaginative one, however, and Blake dismissed as irrelevant questions of historical veracity. Blake also rejected what he considered stupidly orthodox readings of the Bible of the kind that attempted moral justification of God’s Old Testament bloodthirstiness. Rather he saw such passages as true visions of a false god, and he saw such perverse orthodoxy as Anti-Christ. 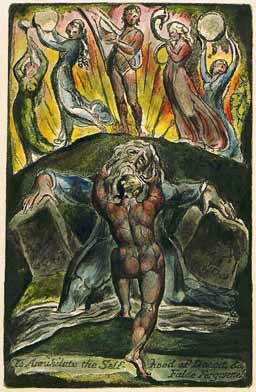 The Bible, though, is not a unique or exhaustive expression of the Word of God, rather all nations, in Blake’s view, had the same genuineness of vision, though the ancient Greeks in particular obscured and forgot theirs. In art, the most complete vision is cyclic, and in poetry this complete form is called epic and properly covers “the entire imaginative field from creation to the Last Judgement” though, like the Bible, it is most concerned with the the world’s cyclical movement between the opposite states of falleness and redemption. Non-epic forms can be considered as particular episodes within the universal epic vision. As such, literature, at least Western literature, can be seen as more conventional than is commonly acknowledged. 2. The poet’s meaning is often different from what he thought he meant. Blake sees creative actions as an artist’s real life. Actions and thoughts “on the ordinary Generation plane” may have nothing to do with an artist’s creativity. This is why Wordsworth’s preface to the Lyrical Ballads is “twaddle,” while the poems themselves are clear visions, and why in general we cannot trust or limit the meaning of art to the artist’s conscious intention. The real intentions that produce art are often sub- or super-conscious. Blake held diction to be very important though he makes few statements about it. His position begins, as it usually does, with a rejection of Locke, in particular, he rejected the notion that words are inadequate substitutes for real things. On the contrary, words make things intelligible and therefore more real. The meaning of a word, beyond generalities, is undefinable because it depends both on its context and its relation to human minds. The sounds, rhythms, and associations of a word–attributes that have little to do with its general definition–are functional in poetry and can give a word a meaning that is beyond the capacity of any dictionary to capture. As for rhyme and meter, Blake insists that “the sound, sense and subject are to make a complete correspondence at all times” which means that fixed stanzaic patterns may be appropriate for short lyrics but rhyme is dropped in the longer works and meter and line length are varied according to the content. We should understand poetry by unified and immediate perception. We might have to do hard intellectual work in order to unify the poem in our minds, but it is the direct experience that is the meaning of the poem. The intellectual scaffolding that helped us achieve that experience should just fall away. “For,” as Blake writes, “[a poem’s] Reality is its imaginative Form.” The wrong kind of allegory is “merely a set of moral doctrines or historical facts, ornamented to make them easier for simple minds.” The wrong way to read allegorical literature is to reduce it to such a set of abstractions. Great allegorical writing exists, and it is great not because of the quality of ideas it represents but because of the imaginative power of its vision. 5. The power of religion lies in its poetry. We cannot hold to art as good or true because art envisions both good and bad, true and false. Religion does claim sure and reliable knowledge of truth and goodness, but there is something false about this claim. 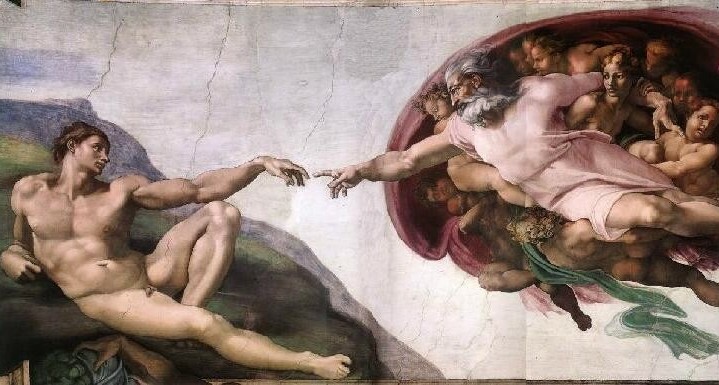 The power of religion lies not in dogma but in the visionary masterpieces that the dogma is derived from. The poet’s task is to go back to the symbols of those masterpieces and to recreate them. The meaning of these symbols (for example, the gods of ancient Greece) becomes more vague over time and the artist’s function is to clarify it. This is what Blake does. One of his tactics is to use unfamiliar names for his characters. Though he could have called his sky father Zeus, Blake called him Urizen to head off the vagueness that comes with Zeus’s large cloud of associations. Christianity is not more true than other religions, but its imaginative core, what Frye calls, “its vision of the humanity of God and the divinity of risen Man” is that characteristic imaginative accomplishment of Christianity that “all Christian artists have attempted to recreate.” Even secular writers like Shakespeare and Chaucer are informed by “the universal Word of God, the archetypal vision of ‘All that Exists. '” This vision provides the most profound kind of signficance to all worthwhile art and makes such art allegorical in the sense Dante used when he spoke of anagogy. 6. In art, all creatures are human. Frye writes, “It is the function of art to illuminate the human form of nature.” By this he means that art “interprets nature in human terms.” Only a human being can create a design, but that does not stop art from seeing design in the pattern of a snowflake. Blake’s tiger has a human creator that makes the tiger’s form, which is therefore a human form. This entry was posted in Blake, Fearful Symmetry, Guest Bloggers on November 3, 2009 by Guest Blogger.